Odour neutralisers and air fresheners keep your grow room and surrounding areas smelling fresh at all times. Available as mists, gels, blocks, liquids and sprays from Citrus Magic, Koo Power Fresh and Ona. The Freshhh! 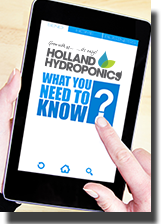 fragrances give you the means to get an odour free grow room with just one spray! Stubborn and pungent odours in a grow room, and surrounding areas can be really frustrating but the complex organic odour molecules in Freshhh! fragrances neutralises odours rather than just masking them. Ona Liquid can be diluted in water or connected directly to a sprayer to quickly, and safety, neutralise any unwanted grow room odours. These solid (block) air fresheners by Citrus Magic are a fantastic addition to any grow room as they not only absorb unwanted odors or smells, they also freshen the air with the scent of your choice naturally! Control airborne odours in the entire room. For use with Ona Mist. Permanently removes any airborne odours. Ona Gel formula is made up from organically sourced essential oils to safely and quickly remove unwanted grow room smells and odours. Ona Breeze naturally neutralises odours.